Prozac Structure and Ingredients: Is Fluoride in Fluoxetine Dangerous? The use of any antidepressants, such as Fluoxetine, poses an increased possibility of suicidal thoughts in children, adolescents and even in young adults. This accounts for concerns whether Prozac is a controlled substance or whether it is safe to use. Hence, it is recommended to see health professionals before starting any Fluoxetine medications — it needs close monitoring during the treatment. Keep reading to learn more about how Prozac works and what it does in the body. What is the structure and ingredients of Prozac (Fluoxetine)? Is Fluoride in Fluoxetine harmful? How is Fluoxetine distributed in body? Fluoxetine, Prozac generic name, is the first agent and the highly specific serotonin reuptake inhibitor, SSRI. Its chemical structure is C17H18F3NO, with a molecular weight of 345.79, forming Fluoxetine hydrochloride, the active and main ingredient in Prozac. It is a white to off-white crystalline solid that easily dissolves in water — at 14 mg/mL of water. The inactive ingredients include corn starch, gelatin, magnesium stearate, pregelatinized starch, propylene glycol, sodium lauryl sulfate, shellac, and titanium dioxide. Other Prozac ingredients are the black iron oxide, copovidone, gelatin, glycine, hypromellose, hypromellose phthalate, isopropyl alcohol, methylene chloride, red iron oxide, sugar globules, talc, titanium dioxide, triethyl citrate and yellow iron oxide. Speaking about Prozac and breastfeeding, the prescribing doctor shall weight the risks and benefits, as the ingredients of this drug can reach the breast milk. Chemically, Fluoxetine structure is designated as (±)-N-methyl-3-phenyl-3­ [(α,α,α-trifluoro-p-tolyl)oxy]propylamine hydrochloride, composed of carbon, hydrogen, fluorine, nitrogen, and oxygen atoms. Each of these elements binds to each and plays an important role to form Fluoxetine strongly. With its structure, it is soluble in water and methylene chloride, Prozac and alcohol have certain interactions as well. Furthermore, Fluorine, as a separate atomic structure, is a toxic univalent mostly reactive and electronegative gas that readily forms compounds with other elements. 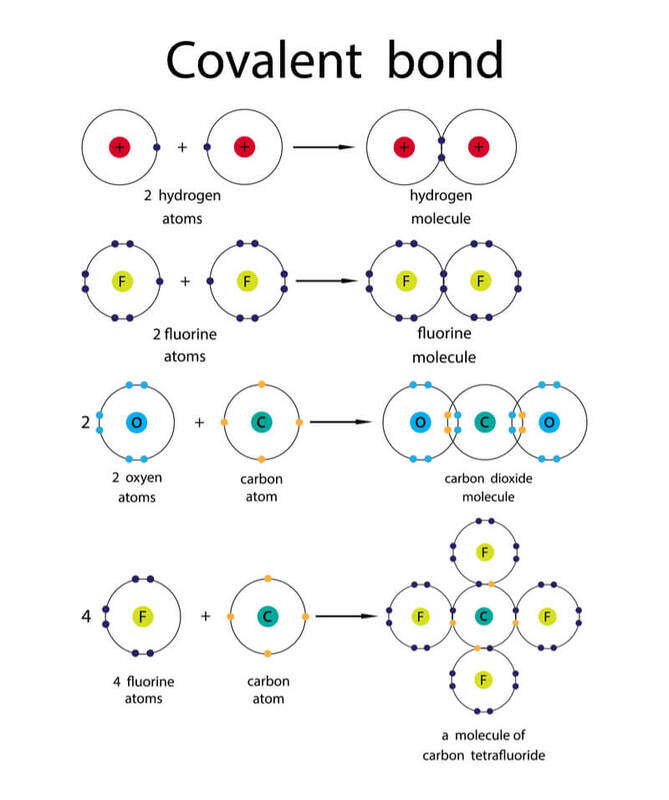 Bonding of Fluorine with other atoms, such as carbon, by the covalent bonding forms a structure — organofluorine compound, which is the most stable and inert substance. 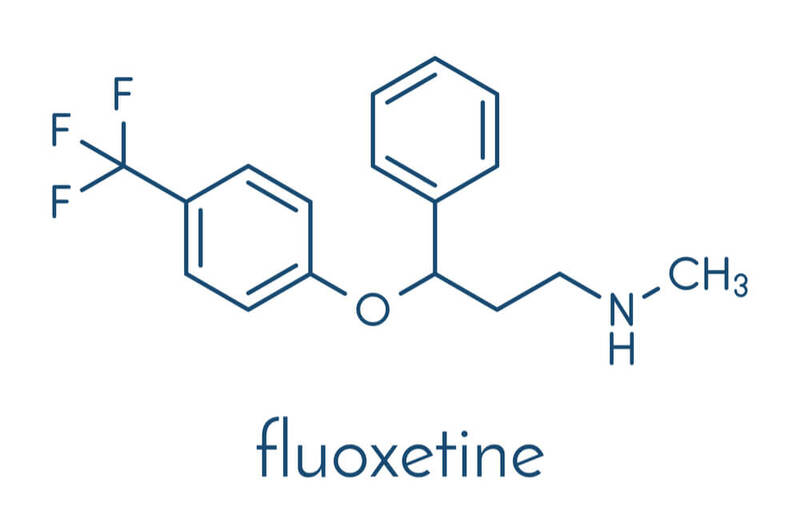 In fact, Fluorine has the ability to tweak chemical structures of a molecule, which are highly utilized by pharmaceutical laboratories to produce safe, commercially-available fluorinating agents, in this case, Fluoxetine in Prozac. Hence, Fluoride in Prozac does not cause any harm and is rather safe to use for the treatment of depression. However, although the ingredients of the drug are safe, one can still get adverse reactions if overdosed on Prozac. Fluoxetine is a highly soluble structure in fats, which means it is absorbed and stored in the body fats for up to over four months, especially for long-term users. Several approaches are used on how to get Prozac out of the body. These include the use of CYP2D6 inducers, which hastens the elimination of Prozac in the body, and the use of activated charcoal that helps eliminate toxins and residues of fluoxetine. Other methods to eradicate this drug from the body involve exercise and diet modification resulting in acidic urine. The intake of Prozac or any other antidepressants needs a close guidance and monitoring from the health care providers. Follow-up check-up is necessary to monitor the side effects, extent and progress of Fluoxetine management. Prozac and other prescriptions literally ruined my life. My body hasn’t been able to function the same since I was put on prozac years ago. My uninformed doctor had no idea how high of a dose to give a teenager girl and I still pay for it now. Oh my. I’ve got my 11 year old taking med to help her with anxiety and ADHD. What was the damage you suffered and how long had you been taking and at what dosage?